If you normally require a blood test before seeing the Nurse/ HCA this is now done electronically. You can go to either Ipswich Hospital, The Riverside Clinic or at the surgery (depending on availability). There is no need to collect a blood form as it is sent through on the ICE system electronically. Our Nurses are specially qualified to help you to understand your asthma, to give you advice on the use of your inhalers and how to vary the doses in different circumstances. 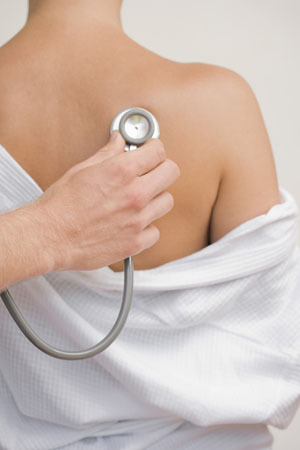 They can monitor your health and refer you back to the doctor if necessary. 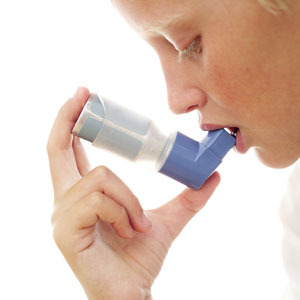 If you need to use asthma medication you should be seen in this Clinic every year. If you have been found to have high blood pressure this will probably be treated by a combination of lifestyle advice - weight control and exercise - and, if necessary, tablets. High blood pressure, narrowing and hardening of the arteries, angina, heart attacks, strokes are very much inter-related. Our Practice Nurses are specially trained to carry out many of the tests and investigations as well as the routine care of people with these sorts of conditions. We provide a full Child Health Surveillance service in co-operation with our Health Visitors. Appointments will be sent for all children under five registered with the Practice to be seen at 6-8 weeks and 4 years for development checks. Please make an appointment with your Doctor when your child is four years old for this pre-school check. It is recommended that all children should be immunised against pneumococcal infection, diphtheria, whooping cough, polio, tetanus, haemophilus influenzae (Hib), measles, mumps and rubella and meningitis C. Appointments are sent automatically by the Local Health Trust. Please contact Reception if you think your child is overdue. For more information on children's immunisations visit the NHS Immunisation website. Immunisation Clinic: Friday morning by appointment. At this Clinic, you can ask for advice about contraception and the 'morning after' pill. Routine checks and prescriptions for the oral contraceptive pill and the contraceptive injection are given. Coils are inserted by our family planning specialist nurse. All of the Doctors are fully qualified to offer family planning advice. Some of our Nurses have received special training to help them support and monitor people with depression. Drugs have an important role to play in depression when used in the right circumstances for an adequate length of time. However, we also strongly encourage a non-drug approach to managing this most common of problems. The Nurses can advise you on how to access appropriate help and can also refer to counselling. We recommend a self-help book called 'Overcoming Depression' by Paul Gilbert (Robinson, London). In order to keep well and healthy every person with diabetes needs good and regular healthcare. 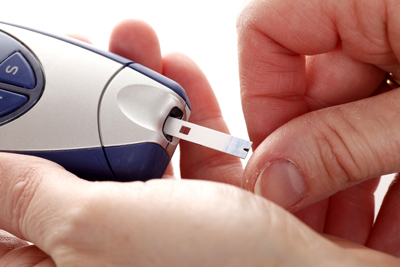 The control of your diabetes and the early detection and treatment of any possible problems is very important. This Clinic is for everyone with diabetes, whether on tablets, insulin injections or dietary management alone. It aims to give people living with diabetes the information needed to manage their diabetes, from diagnosis to living with it on an every day basis. Our Practice Nurses run the Clinic. Routine blood testing, checks on general health, foot care and circulation are made. Referral can be made for dietary advice and annual eye screening with local specially qualified opticians. Almost half a million people in the UK suffer from venous leg ulcers. In the Leg Ulcer Clinic district nurses will carry out Doppler ultrasound tests to see what type of ulcer you have so that you can receive the most appropriate treatment. Research has shown that the compression bandaging carried out by the Nurses in the Clinic is the single most important treatment for venous leg ulcers. Symptoms of the menopause and what to do about them are common problems. One of our Nurses will be glad to talk to you and advise. Patients using HRT (hormone replacement therapy) should have a check with the Nurse about once a year. All patients should make an appointment with the Nurse to reassess the risks and benefits of HRT at least every five years. Please contact ‘icash Suffolk’ for information on services available in the area. If you would like help losing weight our Practice Nurses can provide support and advice. They can also help you to see a dietician. Have your MOT every 5 years! Men have higher fatality rates than women for all 15 leading causes of death and die on average 6 years younger. Concerned that you're overdoing it? Then find out what impact this might be having on your health. Even if you don't overdo it be informed on the health effects of smoking, alcohol and your diet. At the Clinic the Nurse will discuss your general health, your occupation, your family history and your smoking, drinking and exercise habits. She will measure your height, weight and blood pressure and check your urine (please bring a sample with you). You will also be given information on how to examine yourself to pick up early warnings of possible health problems. If the Nurse should pick up any medical problems she will send you to see your Doctor. You should have a well man check every five years. At this Clinic the Practice Nurse is available to discuss any concerns you may have about your general health, your occupation, your family history, or your smoking, drinking and exercise habits. She will measure your height, weight and blood pressure and check your urine (please bring a sample with you). If the Nurse should pick up any medical problems she will send you to see your Doctor. Most women in the Practice between the ages of 25 and 64 should have a cervical smear carried out every three to five years. This is to detect any early changes in the cells of the cervix, which could lead to cancer and prevent this happening. A reminder will be sent to you automatically. If you think you are overdue for a smear please ask for an appointment. the Nurse will also teach you how to carry out self-examination of your breasts to help you pick up any early changes. They will do routine checks on blood pressure, urine and blood if this seems appropriate. The Clinic is worthwhile - so do please use it!